In the other hand, as part of manager team, I full understand that managers need some kind of metrics to take decision and guide the company. Running an organization without some basic measurements is like driving a car without a dashboard. After a lot of readings, talks and discussion, I decided to try something in one of our agile teams, my big questions before start were: how? what should I measure? how should I present it?. I didn’t want to drop in the long, and some times frustrating process of evaluating each person of the team, and/or sending the wrong message to the team with the wrong measure. 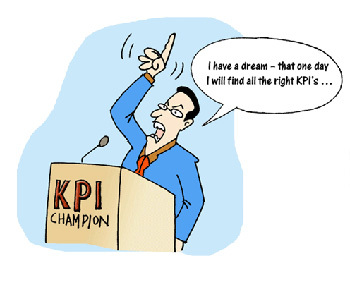 Stakeholders will fill up one score card at the end of each sprint: “Stakeholder sprint score card”. 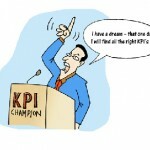 Stakeholders will fill up also one score card every quarter: “Stakeholder quarter score card”. PO will fill up one score card every quarter: “PO quarter score card”. Each member of developer team will fill up one score card every 6 month: “Team score card”. In these cards will be only 4 or 5 items to evaluate with a range between 0-100, and only 3 lines to write down something else. We really focus items to team performance and costumer value delivered. With one card at the end of each sprint from stakeholders we really will have a very fresh feedback. As you will see, all cards are very simple, and we think we cover all agile aspect of one project. We will try them for about 3 months, and we will evaluate the result. We estimate that after 3 months, we should have between 8 and 12 cards. It seems to be a good number for us to get a very first feedback of this way to evaluate teams. After our evaluation, we will be able to “inspect and adapt” this process. What do you think? Are you try it something like that? Do you want to share your results/comments? Any feedback is welcome. 5 Responses to Is your team progressing in agile? I may didn’t get your point at all. What kind of results you expect to see on those score cards? Do you really need those score cards and wait 3 months in order to be able to inspect and adapt? You may not have any numbers to show, but in my opinion, the team issues should be addressed in daily standup meetings and in retrospectives, and stakeholders and PO concerns, should be addressed in review meeting and also in the retrospective meeting, so, I don’t see any value on the score cards. I may missing something here, but that’s my opinion. After few years working in agile teams, I found very often that companies are not able to measure if agile really work or the progress of one agile team. Due to that, companies continue doing evaluation in the old way, generating “metrics dysfunctions” as I said in the post. A lot of companies evaluate projects with some agile metrics as burn down, and velocity charts, budget available and more; however, is the agile team really progressing? are they improving collaboration? are they improving commitments? Are the full team working as TEAM? With these cards, the team will get one evaluation based in agile principles as teamwork, collaboration, customer satisfaction, etc. At the end of the way, if somebody deploy agile team, the goal is get high performance teams, right? (IMHO, yes is the answer here) well, these cards will help us to see what we have to improve in our team to become one high performance TEAM. As SM and agile coach, I also address team issues in retro and stand up meeting if issues are very important. However, these score cards will help to get one way to evaluate the progress from 3 differences perspectives (PO, stakeholder and team itself). About if I have to wait 3 months to inspect and adapt, the answer is “no”. To avoid that, we have one score card at the end of each sprint. What I tried to say there is: we will inspect and adapt the score cards process in 3 months. At that moment we will get few score cards and we will be able to see if this process is working as we expected for us. I hope I am more clear now. If you have more question, let me know, it will be pleasure to answer you. Companies decide to deploy agile, and realize that working as multi-disciplined team could do more, as scrum master we teach what means by working as team, we teach that as team you are able to get more things done, and some times you need to put out egos and individual goals to dedicated to team goals and reach successful status as TEAM. After companies deploy all these principles/ideas from agile, they continue doing individual evaluations, for me, it is like the company is not very clear with the message or they are trying to deploy “agile-but” and reaching the best performance of each team will be very difficult . Manager thinking in “individuals” should understand that our focus is the TEAM and our product, if we have very good metrics and progress, why do they need to evaluate every single person alone? Working in waterfall projects in the past, I have a lot of answers to this questions, but nothing related to agile principles, that is the point with those score cards. I know that it is not easy, but build agile teams in any company is not very easy, this is one step more to become one company 100% agile. Thanks Omar. I fully understand that the terms “agile” and “team” are what goes together and the “individual” has no role to play in the agile scheme of things. My question is whether this sort of measurement can be taken as one of inputs for the performance assessment of the team member. I come from a part of the world, where individual performances determine ratings, increments and promotions (if any) , besides a directive from the management to follow a “bell curve” – hence the question.